Solange is PRCBC’s Director. She works as a supervising solicitor for Consonant (formerly MRC). 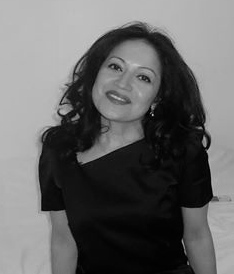 She is 14 years PQE and has over 19 years experience in nationality and immigration law. Solange is a Law Society Level 3 Advanced Accredited Immigration Supervisor. She delivers training for PRCBC, ILPA and other umbrella and community organisations. She has also written briefings and articles for LAG magazine, LegalVoice and other publications. Solange specialises in and is heavily committed to nationality law. She does external policy and strategic work to improve the condition and rights of migrants and their family members. Her main areas of interest are working with migrant children and children born to migrant parents, domestic violence, citizenship and legal aid. In 2014, Solange was shortlisted Legal Aid Lawyer of the Year in the immigration category. Solange is the 2017 Legal Aid Lawyer of the Year in the Children’s Rights category. She contributed to the Legal Aid LAG Handbook and is a member of the Advisory Board for Rights of Women (ROW). Solange is a contributor to “Citizenship in Times of Turmoil?” (Theory, practice and policy. i) VF (litigation friend OT) v SSHD  EWHC 3138 (Admin): Challenge to children’s registration fee, the profit making aspect of the fee and failure to have regard to best interests of the child. Treated as academic by the High Court after VF’s fee was paid by a private donor. Permission has been granted by the Court of Appeal (C4/2017/3410) against the decision to treat the matter as academic. VF has been remitted to the High Court to be heard with PRCBC main citizenship fee challenge. ii) OGA v SSHD (CO/1734/2017): Challenge to the exclusion from the domestic violence rules in Appendix FM of partners of persons settled in the UK under rules relating to Tier 1 Migrants. iii) Carlos Cyrus v SSHD  EWHC 918 (Admin): Restoration of ILR pending human rights appeal against deportation. iv) BE (litigation friend) v SSHD  EWHC 905 (Admin): Unlawful decision to refuse registration of a child as a British citizen. v) “T” v SSHD  EWHC 2453 (Admin): Destitute Domestic Violence Concession and ILR under the Domestic Violence provisions in relation to post-flight spouses of refugees. vi) Agyeikum v SSHD  EWHC 1828 (Admin): Fresh claims, mental health and unlawful detention. vii) JB (Jamaica) v SSHD  EWCA Civ 666: Unlawful detention under the Detained Fast Track (DFT) and whether treating Jamaica as a safe country under section 94 off the Nationality, Immigration and Asylum Act 2002 was lawful given risk of persecution of LGBT people in Jamaica. The latter issue was decided by the Supreme Court. viii) BN v SSHD  EWHC 2367 (Admin): Securing the return to the UK of a mother separated from her children by her unlawful removal while her fresh claim remained pending. ix) Ali v SSHD  EWHC 1983 (Admin): Concerning the Secretary of State’s discretion to register children as British citizens under section 3(1) of the British Nationality Act 1981. Carol Bohmer Carol has been involved in PRCBC since its inception in late 2012. She is a lawyer and sociologist with many years of academic and practical experience in the field of immigration. She has taught at Cornell, Rutgers, Georgetown and McGill Law Schools, Dartmouth College, University of Lund in Sweden and King’s College, London. She has done pro bono legal and counselling work in the USA and the UK in asylum and immigration.